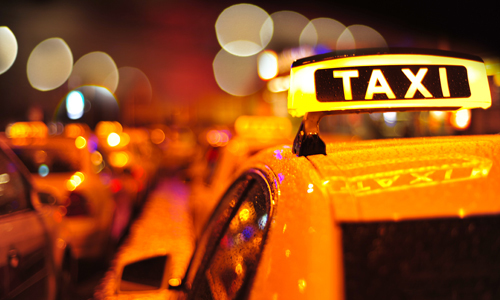 Whether you’re trying to avoid bad weather or just need to get somewhere in a jiffy, taking a cab is one of the most convenient ways of getting around the city. Super Express Taxi, a cab service that provides transportation throughout the Minneapolis-St. Paul area, is making it even more enticing to use a taxi by offering special discounts from now until the end of 2016. When you use Super Express Taxi, you'll receive $2 off of taxi fares that are over $10. This special offer makes it easy to hop in a yellow cab for a movie date, take a private taxicab to the airport, or skip the hassle of public transportation and use a cab service to run errands. Customers trust Super Express Taxi because it’s a local taxi company. Their drivers know all of the quickest routes throughout Minneapolis and St. Paul, which saves customers time and money on every taxi booking. They also have taxis throughout the area, so you never have to experience delays after requesting a cab. Additionally, Super Express Taxi only works with friendly, efficient drivers who are bilingual in English and Spanish. Communication and excellent customer service are top priorities for this taxi service. With courteous drivers, taxicabs on standby, and discounts on every taxi booking over $10, Super Express Taxi is your go-to taxi service in the Minneapolis region. To learn more about this local taxi company, or to make a taxi booking, visit the website or call the dispatcher at (612) 722-5859. Forget Flagging Down a Cab: Use Super Express Taxi Instead! Uber vs. Richfield’s Local Taxi Service: Which Is Better?